My treatments lead to immediate benefits, calm the nervous system and improve digestion. 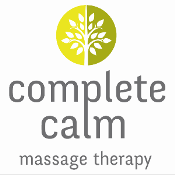 Having experienced the benefits of massage therapy myself, I take tremendous satisfaction in helping people to feel calmer, less stressed and have more energy. After an initial consultation, I pride myself in providing treatments to reduce muscle soreness and tension and help insomnia, and promote relaxation and clients have reported reductions in tension headaches and lower back problems after seeing me. After each treatment I offer after care advice and guidance that includes relaxation techniques and stretches. The word holistic comes from the Greek word holos meaning whole. Holistic massage is an approach rather than a technique. I aim to restore balance to the body, taking the whole person (mind, body and spirit) into account. An example of this would be if you have stiff shoulders; I will ease them but also try to identify why you have them and make changes to help prevent the tension. Are you struggling to know what to give your loved ones as gifts? Whether it’s Christmas, a birthday, or another special occasion, you want to show you care – even when they have everything they need! I’m pleased to offer gift vouchers for massage therapy. If your loved ones are busy, stressed out, anxious – and hard to buy for – a massage voucher is a chance for them to rest, relax, and restore their bodies from the pain of frantic modern day life. They’re a great way to show someone you’re thinking of their wellbeing.